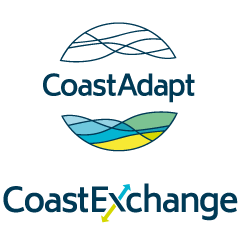 CoastAdapt provides information and guidance at a level accessible to non-specialists. The Information Manuals provide additional detail and greater insights on key topics of relevance to adaptation practitioners and decision makers. The ten topics were identified in consultation with potential users of CoastAdapt. The Manuals were peer-reviewed and provide the scientific and technical underpinning and authoritativeness of CoastAdapt. The Manuals are extensively referenced from within CoastAdapt.